Bellows was born in Vancouver, British Columbia, and attended Magee Secondary School with fellow future actress Carrie-Anne Moss. After graduation, he pursued a career in acting, studying at the American Academy of Dramatic Arts in Los Angeles, California. Bellows is known for his first motion picture role as Tommy in The Shawshank Redemption (1994). Also in 1994, he played the lead role Watty Watt in Love and a .45 with Renée Zellweger, as CIA agent Matt Callan in the television series The Agency and as Billy Thomas in the television series Ally McBeal. Bellows also appeared in the psychological thriller Chasing Sleep as Detective Derm, opposite star Jeff Daniels. He appeared in The Weather Man as a perverted rehabilitation counsellor. He was in the films Black Day Blue Night, Snow White: A Tale Of Terror, as Will, and Un amour de sorcière, a French film, as Michael Firth (1997). He has appeared on the Hallmark Channel original film Final Days of Planet Earth and the Canadian television series Terminal City. In 2007, he completed filming for Kill Kill Faster Faster, which is a contemporary film noir inspired by the critically acclaimed novel of the same name by Joel Rose. Bellows also played a State Department Officer in 24: Redemption, a television film prequel to the seventh season of 24. He starred in the Super Channel Science-Fiction adventure thriller film Infected. Bellows has also appeared as Maxwell Lord on Smallville in the Season 9 episodes "Charade" and "Hostage". In 2010, Bellows had a recurring role in FlashForward as Timothy, a window-washer who becomes a born again Christian and evangelist after a near-death experience. Bellows also co-starred in the movie Unthinkable that same year. He co-starred with Steve Austin and Eric Roberts in the 2010 action film Hunt to Kill, and in 2011 co-starred with Macha Grenon and Julia Stone in The Year Dolly Parton Was My Mom. He starred in the 2012 feature film Fury. 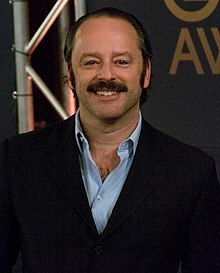 In some Season 2 episodes (2012) of Boss he appeared as a casino investor. In 2014 Gil starred with Tricia Helfer in the SyFy miniseries Ascension, a retro space opera / murder mystery about the 600 person crew of the USS Ascension, an Orion class nuclear pulse propulsion spaceship, on its secret 100-year journey to Proxima Centauri, having been launched in 1963 by President Kennedy. Gil played Harris Enzmann, the son of the founder of the Ascension project, who oversees its progress from a secret facility on Earth. On October 16, 2016, Gil debuted as a cast regular in USA Network's new, 10-episode straight-to-series police drama, Eyewitness. Bellows plays Gabe Caldwell, a veterinarian and the husband of Sheriff Helen Torrance (series lead Julianne Nicholson). The sheriff is trying to solve what appears to be a random triple murder in a turkey farmer's home. But as the series begins to unfold, she is unaware that the farmer's teenage son and his male friend—the latter of whom also happens to be Gabe and Helen's foster son; at first, unbeknownst to either parent—had been secretly exploring new feelings for each other just prior to the carnage, witnessed the murders. The killer is still at large, is someone she wouldn't normally suspect, and is determined to permanently silence the witness he saw hiding. Meanwhile, off the clock and at home, Caldwell and Torrance seem to enjoy a genuinely happy marriage. The series, although set in mainly in the Hudson River Valley, was actually filmed in Parry Sound, Ontario, Canada. 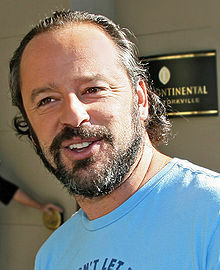 Gil Bellows is married to American actress Rya Kihlstedt and has two children, Ava Emanuelle and Giovanni. ^ Nellie Andreeva (2008-05-23). "'24' prequel adds cast - Eric Lively, Tony Todd, Gil Bellows join the fray". The Hollywood Reporter. Archived from the original on 2008-05-26. Retrieved 2008-05-23. ^ "Smallville: Maxwell Lord is Cast - IGN". Tv.ign.com. 2010-02-22. Retrieved 2012-11-07. ^ Hale, Mike (2010-03-19). "'FlashForward' Watch: Simon Says". The New York Times. This page was last edited on 27 December 2018, at 06:58 (UTC).